I use this on my daughter when she has a bad diaper rash, it works in less that 3 hours. By next diaper change the rash is gone. I also use it on myself in the summer when my legs chafe. It helps with pain and redness fast. Within an hour the pain is gone. I would definitely but this product again. 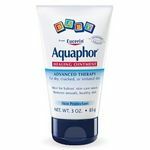 I would use it when my baby would get a diaper rash or diaper "burn"
This is a good standard diaper rash cream that can handle a light to moderate diaper rash. I like it because it helps protect the irritated skin and lets it heal. The consistency is pretty thick and not watery but it is easy to apply, even on a squirmy baby. It spreads easily also so you can cover an area quickly and diaper fast. I keep it in my diaper bag at all times. 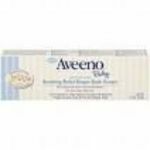 I see a difference in a diaper rash usually within one day using this cream. I also use it when it's hot and I think my baby might be subject to a diaper rash. Performance This cream is reliable because it provides relief pretty quickly plus allows the skin to heal. I like how it doesn't irritate my baby and gives good results. In my opinion, this "industrial" strength diaper rash paste is the best planet earth has to offer! It was initially recommended to me by my sister after my poor son came home from the park with the most awful diaper rash. It was a one mile walk and he was only two and a half! When I removed his diaper, his skin looked bubbly and burnt. I felt awful. His skin looked so raw I didn't know where to start because everything I did hurt him. Even a gentle cleansing bath to remove the particles was almost too much to bare, but I had to get him clean. Then, I gently dabbed a little Desitin Maximum Strength which was so thick, I could barely spread it on properly. It reminded me of contractor putty! Once this stuff was on, it stays "clinging" to its host! Then when it came time to change another diaper, the putty was still there - hence the doo-doo's had not touched his skin, hence there was no further irritation. It smells kind of chemically which did not in the least bit bother my son, and as my son made a miraculous recovery within 24 hours, didn't bother me either. From that day on, I always carried Desitin in my diaper bag. Not one of ny favorites. I dont see how this is even sold. The very few times ive used this my daughter ended up with even more of a diaper rash than before. My mother had 5 kids and ALL of us would get a huge rash when she tried using this. I dont understand how its made to help a diaper rash but in the end it just makes it much worse. I found it to be like cement and very hard to wash off once it was put on. Which, in turn, makes said diaper rash worse. Along with it just irritating it. I dont think ive ever met anyone who could use it on their child and its worked. All I can think about is how painful and uncomfortable it must be to have a rash (especially on that arwa!!) Then having someone put a cream on that makes it hurt more. Performance Again, its like cement once its on. So VERY hard to wash off. (not to mention how it must feel to the little one) then theres the problem of it irritating the diaper rash more. I dont see that it does anything for the rash in the first place. When dealing with rashes of any kind Desitin works great. My daughter is allergic to certain diapers. Before I found the right ones, she had rashes. 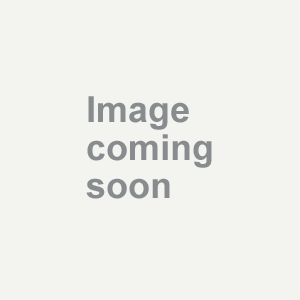 I came across Desitin while using other products. My daughter didn't cry while applying it and it worked longer than most other types. The scent isn't strong and the texture is smooth. The cream is thick so it covers and lasts long. I even used it for rashes on other parts of her body. Like when she had a rash on her neck due to formula and chafing. I would recommend this product to any mother who has children with rashes. I use this diaper rash cream for any first signs of a diaper rash. I also use it when we go on long car trips out of state to see family. Its really good at preventing diaper rashes too. 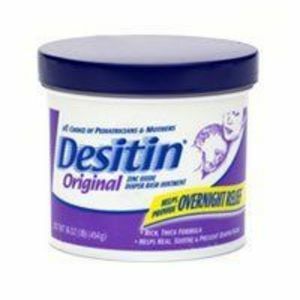 Desitin Diaper Rash Cream helps all of my babys mild to moderate rashes. My baby has had some bad diaper rashes and Desitin Diaper Rash cream is the only one I trust and use with my baby. She seems comforted when I put it onto a rash and I see improvement and results after the first use. I use so much of it I keep a little stockpile stashed away. LOL Performance This is a great product to use. It's the only one I've ever used.You notice a difference in a rash after the first use. It's comforting for my baby to have this when she breaks out with a rash. My daughter got what seemed to be the onset of a diaper rash from some diapers that were given to me as a gift once she was born and I used the Desitin and within a day or two I could see results. Performance I had no issues with this product and much like it says, it works fast. 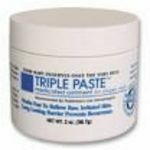 This product works great at soothing and resolving diaper rash flare ups. It is kind of a heavy and messy ointment that seems to get every where and does end up staining somewhat, but it is great at clearing up rashes and soothing pain. We have used only the maximum strength variety and have been happy with it, so we haven't tried any of the other strengths. Diaper rash is best avoided in the first place, but, since that isn't always possible, this is a great remedy to have on hand. Performance This product is very effective on diaper rashes. We have seen our babies go from bawling from a rash to relief in a matter of seconds, so we really do trust this product. We usually see these rashes healed in a day or two, so we feel that it is fast-working and effective.